CHICAGO--(BUSINESS WIRE)-- Hyatt Hotels Corporation (NYSE: H) announced today the opening of Hyatt Regency Makkah in the holy city of Makkah, Kingdom of Saudi Arabia (KSA) under a management agreement with Jabal Omar Development Company. The opening of Hyatt Regency Makkah marks the first hotel under a Hyatt brand to open in Makkah and the first Hyatt Regency-branded hotel to open in the KSA. 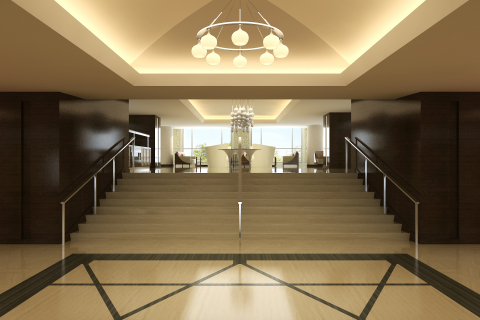 A second Hyatt Regency-branded hotel in the KSA, Hyatt Regency Riyadh Olaya, is expected to open in 2016. Connecting travelers to who and what matters most, Hyatt Regency Makkah is located in the heart of the city. It is a one-minute walk to the holiest shrine of Islam – Al Masjid Al Haram or the Sacred Mosque – and close to several religious sites such as Mount Arafat, Muzdalifah and Mina. Pilgrims visit these sites each year for Hajj, the largest pilgrimage in the world, and during the month of Ramadan. Roadways make the hotel easily accessible to and from Jeddah, the region’s urban center and main port city, as well as King Abdulaziz International Airport. On the premises, 175 parking bays offer central parking, even during the busiest months. “We are glad to announce the opening of Hyatt Regency Makkah as part of a unique urban regeneration scheme that includes hotel accommodation, commercial and retail spaces, car parking, public spaces, and public amenities to support religious, social and commercial activities. Worshippers coming to perform Umrah and Hajj will enjoy the close proximity to Al Masjid Al Haram, as well as the convenient services and authentic hospitality for which the Hyatt Regency brand has become known,” said Shaikh Abdul Rahman Abdul Qadir Fakieh, Chairman of the Board, Jabla Omar Development Company. Hyatt Regency Makkah is part of a mixed-use development built up of more than 2 million square meters (21,527,820 square feet). The hotel offers 656 guestrooms – including 26 suites spanning 19 floors that range in size from 38 to 190 square meters (409 to 2045 square feet) with a Royal Suite on the 18th floor that overlooks Al Masjid Al Haram. All rooms offer rich textures, designer décor and fine contemporary furnishings, as well as the latest services and facilities. Each guestroom has been thoughtfully designed for the fulfillment of religious duties. Panoramic views of the city are enhanced by natural lighting, which permeates the hotel. “Hyatt Regency Makkah offers visitors and pilgrims a unique hospitality experience, blending comfort and convenience in an energizing atmosphere,” said Rady Rady, general manager, Hyatt Regency Makkah. Guests looking for exclusivity and an array of additional amenities will enjoy the Hyatt Regency brand's ‘hotel within a hotel’ concept – the Regency Club™ All club rooms are secluded on the 15th to 19th floors of the hotel. The Regency Club lounge offers exclusive services for guests, including complimentary meeting rooms, continental breakfast, afternoon tea and evening beverages with hors d'oeuvres. Hyatt Regency Makkah features a wide range of culinary experiences worth sharing that meet guests’ diverse needs and preferences. The hotel offers The Oasis, an all-day dining restaurant; Al Forno, an Italian restaurant; Tea Lounge, the lobby lounge; and Al Tekkeya; a grab-and-go market offering guests quick and high quality meals. For added flexibility and convenience, the hotel also provides 24-hour in-room dining service. The hotel boasts a number of excellent on-site facilities for relaxation and rejuvenation, including separate state-of-the-art facilities for men and women that include cardiovascular exercise machines and strength-training equipment. Guests stay fit at one of the best gyms in town with a dynamic selection of workout programs that cater to fitness-conscious travelers. Jabal Omar Development Company, one of the largest real estate management companies in KSA, was founded in accordance with the High Order No. (M / 63) dated 25/09/1427H and was chosen as the first board of directors under the Constituent Assembly's decision on Saturday on 09/17/1428 H corresponding to 09/29/2007 AD. The company's capital: (9,294,000,000) nine billion and two hundred and ninety-four million is divided into (929.4 million) nine hundred and twenty-nine million, four hundred thousand shares of equal value, with a nominal value of each of them (10) ten riyals, all in-kind and cash ordinary shares. Kordroa global company was appointed consultant to estimate the cost of the project which updated the estimated cost of the project based on what has been developed from the executive designs, reaching cost to 18.5 billion riyals, except for the value of the land which was estimated to 4.7 billion riyals at the discretion of the Commission the official estimate, and estimated at the present time about 14.6 billion riyals, and thus the value of the entire project is estimated to 33.1 billion riyals. For further information please visit: www.jabalomar.com.sa.